I’ve always hated soundchecking after the audience has arrived. 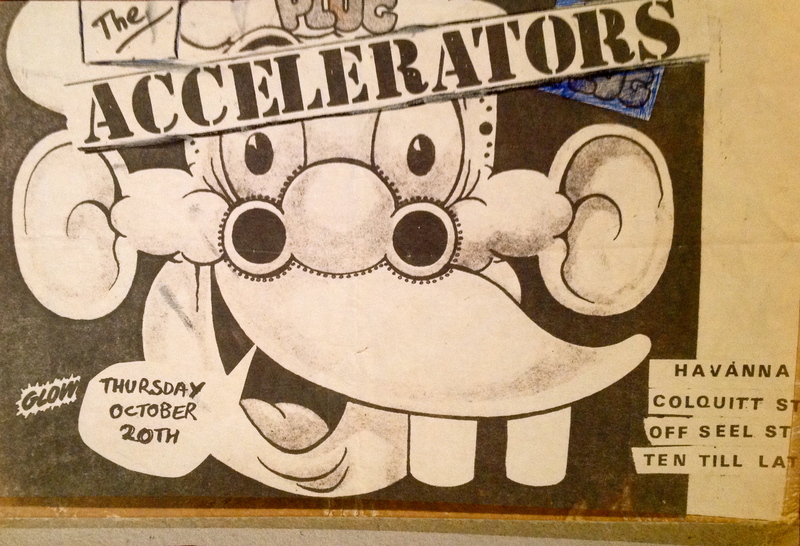 My first Real Band, The Accelerators, was always late for the soundcheck. Not my decision…as I was probably the one who’d hustled for the gig and vainly promised the promoter we’d be there at five for a show at nine. But an unmanageable cocktail of unready band members, traffic jams, overlong service stops, frequent van breakdowns and anything else under the sun invariably put paid to that. Do we look like the kind of people who arrive on time? Actors don’t go out on stage before the curtain rises to test their lines. Playing half-arsed snatches of songs at volume 11 to the audience-to-be just didn’t cut it for me. 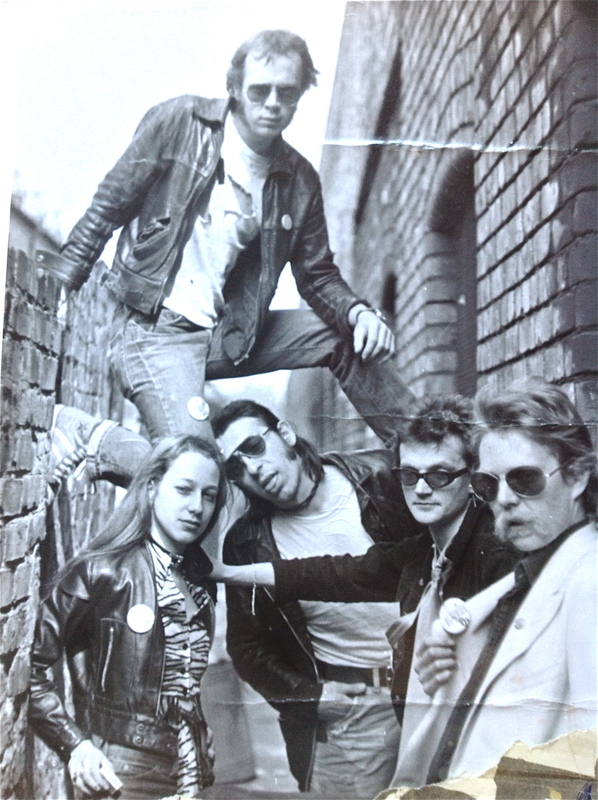 The others, as befitted the mood of that era, honestly didn’t care if people were listening to the soundcheck or not. 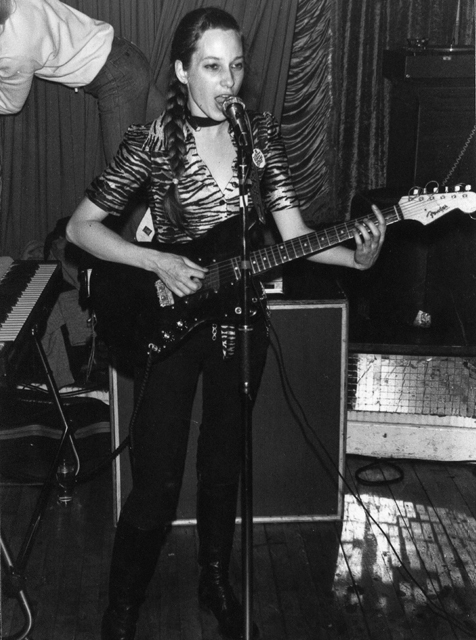 But at that tender point in my development, punk or no punk, a show meant A SHOW – i.e. the ultimate reason for practicing downstrokes and Chuck Berry riffs in our garage till my hands were dropping off, or minutely perfecting my panda make-up with eyes sore from hard contact lenses. I wanted to confront the audience with a proper surprise attack, not give half my powers away before even starting. Today the still-dreaded late soundcheck sometimes doesn’t even take place. Or I get away with two chords and a quick “Guten Abend” But if I do have to take it further, there’ll be no half-arsed spoilers from the set and definitely no one two one two. What you see on this blog is the tip of a technological iceberg. Steep, steep learning curves got me here and most other Net places. As an “I- don’t-read- the- manual” diehard, I just try things out, lose drafts, misunderstand instructions and occasionally burst into tears. Eventually its all fine and dandy – apart from the feeling I just lost a few hours of my life. 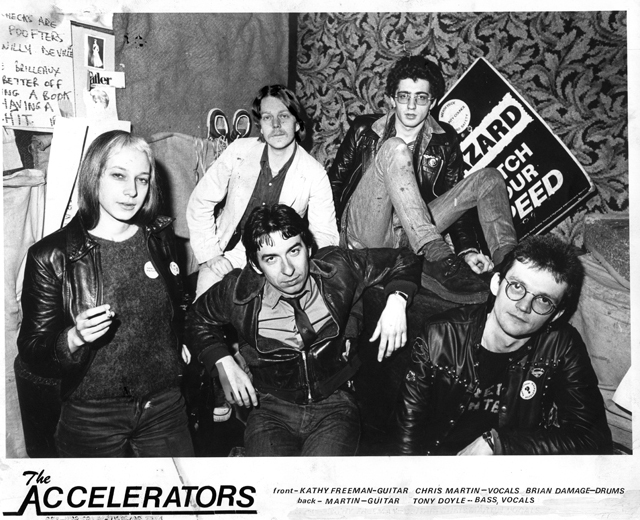 When my first significant band, The Accelerators came together you couldn’t be in eight places at once. In fact the process of getting people to know who we were was pretty damn simple. They came to your shows. If they liked you, they’d come again. I didn’t “get” networking, beyond saying hello to people at Erics. Playing shows was the be-all and end-all of my existence. It wasn’t ideal, but now I miss that safe and guiding wall of limited options that could never have allowed me to go running haplessly into eight lanes of incomprehensible Internet traffic. I was not being relentlessly urged to connect with more people than I could handle if I had several lifetimes to do it in.. I did simple stuff like visiting musician friends without even phoning first. To talk about all kinds of things in real time over a brew and a spliff. Enough!! – I hear the warning siren of a nostalgia alert. PS Talking of incomprehensible Internet traffic…..between you and me, I don’t actually understand how I manage to do this blog. It’s all trial and error. And the FAQ section is not for the fainthearted. But I’ll be back in a month. I was 18 years old, preparing to go to a party. And learning how to cook. Before leaving, I ate some home-made soup. The main ingredient? Parsnips. Bad move. From nine till late o’clock I was drinking God knows what. Chased down with a generous measure of Scotch. Not rocket science to figure out what happened to my stomach. Since that night I’ve treated parsnips with caution, and the taste of even the finest, Glenwhatever 12 Year single malt carries a faint warning note. But Jack Daniels was never a problem. For my digestion anyway. For the last word on spirits raise your glasses to George Thorogood. Over the years playing in bands I’ve come across a few folk who’ve sipped, snorted or gulped a wee bit too much from the rock goblet. Not a problem till their business became my business and I couldn’t extricate myself ….this song was written in not such fond memory of those times. “…You’re a party animal and you always will be – You don’t look for trouble but it always finds you” Do you know this person? “…It’s a different story – it’s the same old song” Someone told you a few stories. In which the details are different but the result is the same. The narrator is having a ball. The listener gets shafted. “…..You’re a party animal. You’re a party vegetable.” Party boy just made the transition to horizontal.